Radon is described as a colorless and odorless gas which is produced from decaying uranium which is located in water, soils and rocks. The buildings which have been built on these substrates which contain high levels of radon have the ability to create an attraction for this gas which will seep in, with more concentrated levels on the ground floors and even more in areas such as basements below grade. It usually will not migrate to upper floors in buildings and homes and is more prevalent in low lying areas such as the basement. However, this gas will circulate through the home through air-conditioning and heating systems during on cycles. Radon Gas exposure a primary factor associated with development of various diseases such as cancer and is responsible for about 16% of deaths caused by lung cancer in Canada, according to a recent report known as Radon: Policy Considerations, which was presented to board members of our Public Health Department in Addington, Lennox, Frontenac and the Kingston region. It has also been classified as an environmental carcinogen that is the 2nd most deadly in Ontario, which was mentioned in a report published by the Public Health Ontario and Cancer Care Ontario in 2016. Around 1,600 deaths caused by lung cancer in Ontario are associated with exposure to radon every year. The number one environmental carcinogen that is considered the most deadly is solar UV radiation, that is linked to between 2100 and 3000 deaths each year caused by melanoma. The levels of radon will vary according to the geography and in areas such Lennox, Addington, Frontenac and Kingston, 11% of the homes that were tested contained more than 200-Becquerels per-cubic-meter, which is level that is considered as a compromise to human health according to government in Canada. Their provincial average is around 4.6% which makes the areas of Lennox, Addington, Frontenac, and Kingston an extra concern. • Radon has been established as a cause for lung cancer, while concentrations of this gas vary across the geographic areas. • Radon has the ability to accumulate to high levels in lower floors or basements of buildings and homes. • Around 25% of Ontario homes which were surveyed between 2009 and 2013 had concentrations of radon which required immediate remedial actions which was stated by the World Health Organization. Today there are various strategies used to decrease radon when it comes to your office or home. It will be the characteristics of home or building which will dictate an installation option that needs to be used. This is the more common system used which offers exceptional results even when it comes to high concentrations of radon. With high concentration of radon in a specific area, the reading may be around of 331 pCi/L. 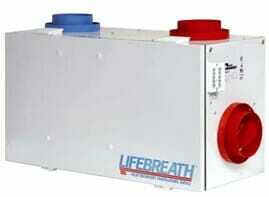 Once the mitigation installation has been completed, the post test can indicate levels of less than 0.4 pCi/L. While not every home will reduce to an outdoor average, they can be decreased below 2 pCi/L and in most cases less. The largest variable which will be the deciding factor on how the radon concentrations will be decreased has to do with the aggregate type beneath the building or home. Abilities in moving air under your home of building is essential when it comes to decreasing radon-gas levels in the home. For this reason, experience and knowledge will make all the difference and the reason why you need to be choosing an expert mitigation company. In summary, sub-slab depressurization system are made up of one PVC pipe that is sealed to the hole which is cut into a slab. 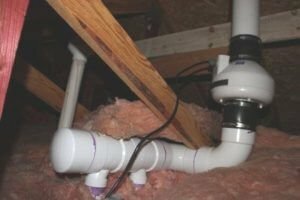 This PVC pipe will either run retro-fitted inside the home or along the outside, to allow for the installation of fan into a ventilated garage attic or attic space. This PVC pipe has specific termination requirements above eves of a roof and from from openings or windows. The installed inline fan is what creates a vacuum underneath the slab. This fan will draw the radon gas out of the soil from underneath the slab so that it can no longer enter into the building or home. This system is an option when there are no concrete slabs present. These systems are used in crawl-spaces or in the older homes without or with exposed ledges. 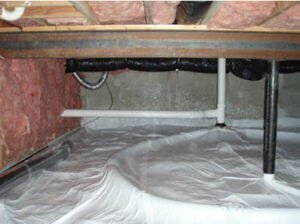 In certain situations, the combination of a sub-membrane and sub-slab depressurization system will be installed in order to address additions added onto the home. For example, when an addition was constructed over a crawl space, while the original part of the house was constructed over a foundation that features a slab, this system type offers optimal results. The goal of installing the sub-membrane depressurization systems involves laying a poly-membrane over exposed stone and earth. This membrane will then be sealed to exterior walls in the way of using various methods. A vacuum will then be created under this poly membrane similar to the sub-slab depressurization. Inline fans draw radon-soil gas into the ventilation piping so that it stops entering the lower levels or basement space in the building. HRV’s are also useful for treating radon issues, when they are installed with the purpose of increasing air-rate changes within the basement. This type of system will only be used for specific circumstances. For example, this system is employed when installation of the sub-membrane or sub-slab system is regarded as impractical. The goal behind this system is to draw air from outside and bring this air into the area of the basement. Before releasing this air into the area of a basement, the core in these units takes the inside air where it reconditions this air. Fortunately, all new homes built in Ontario now require an HRV to be installed. This requires sizing and installation by a certified individual. What this means that in the months of summer, warm air which is drawn from the outside is somewhat cooled with air that leaves the home through the HRV system. The energy recovery is minimal during summer as the HRV is then used mainly for ventilation air supply in the home. An ERV is more suitable for summer use however ERV installation is not common in Canada due to low drops in outdoor temperature which can freeze or damage the porous ERV core. In winter, warm air from the HVAC system is exhausted while warming the air which is taken from the outside though a PVC or aluminum core. The HRV will usually have a winter DE-humidification feature that will auto ramp up to control humidity in excess of the set point. The importance with this system is that the amount of air being exhausted compared to the fresh air being brought in must be equal or balanced. We find many HRV installations we encounter during service appointments, the units were never balanced at the time of installation when the houses were built by the installing contractor. This type of installation is not suitable for every home as the costs involved are significant along with additional energy consumption. 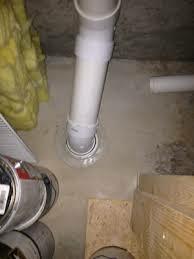 It is also not a ‘stand alone’ solution for Radon Mitigation. There are additional limitations involved. Typically a reduction rate of between 50 to 75% of radon gas from the soil. This means that pre-mitigation levels of radon will be the determining factor on whether an HRV is recommended in addition to the primary mitigation system.. If you would like more info about Radon solutions, contact Furlong HVAC Services today. We’d be happy to answer any questions.